George Scialabba will be honored by Cambridge on Thursday, and an event in his honor will be held that night. When George Scialabba’s editor at the Baffler asked him to be the godfather to his daughter, Scialabba took the role far more seriously than many godparents do. Seven years later, he still spends three nights a week with her. He has been similarly indefatigable in his own work. Scialabba is an unusual figure: an old-fashioned intellectual essayist and book reviewer, with freelance stints at the Globe, The Village Voice, and The Nation, who has won the admiration of his peers while also toiling relatively anonymously as a building administrator at Harvard. 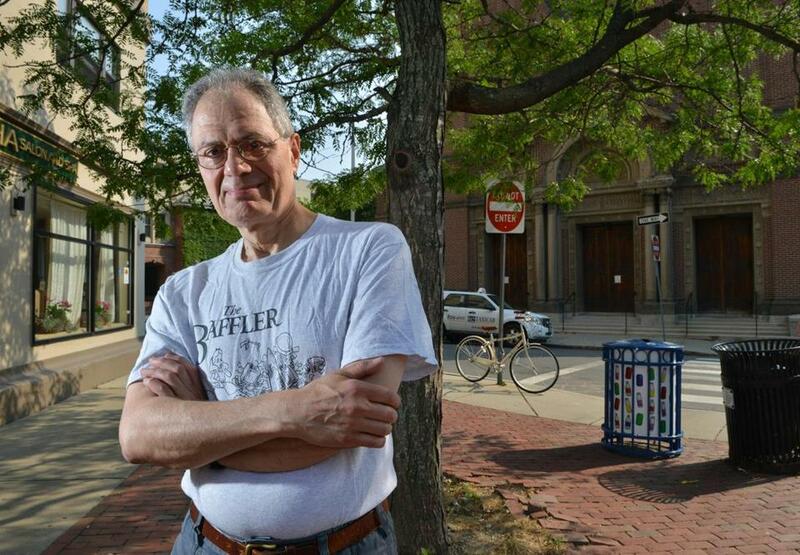 Now, to celebrate his recent retirement from the university, the Baffler and the city of Cambridge are both honoring the 67-year-old Scialabba, culminating in an event this Thursday at the Brattle Theatre. With guests including Noam Chomsky, Barbara Ehrenreich, and Baffler cofounder Thomas Frank, “Three Cheers for George Scialabba” is a paradox of sorts: a gala send-off not for a literary lion or public luminary, but for a largely unheralded clerical worker and scribe. “He’s supposed to be obsolete,” says John Summers, the Baffler’s editor. To him, Scialabba represents a seriousness of purpose and immunity to the “bells and whistles” of modern American culture that have become thoroughly outmoded. Scialabba’s life of hard thinking has included some dark periods. Perhaps his widest recognition to date came last year, when the Baffler published “The Endlessly Examined Life,” an account of the writer’s lifelong struggle with depression told through his therapists’ notes. Scialabba admits he wasn’t entirely enamored with the idea. “He had some persuading to do,” he says of Summers, both of them sipping fruit frappes in tiny Café Pamplona, tucked behind Harvard Square. He had some reservations about the celebration at the Brattle, too, but he’s letting his friends and colleagues have their fun. “It took me a while before I believed it wasn’t just John getting a rise out of me,” Scialabba says. His face is expressionless, but there’s an unmistakable twinkle in his eye. George Scialabba has drawn the admiration of many better-known critics and academics over the years. Over the years Scialabba, who has published several collections of his work, including “For the Republic” and “What Are Intellectuals Good For?”has drawn the admiration of many better-known critics and academics, such as Bill McKibben, James Wood, and the late Christopher Hitchens. 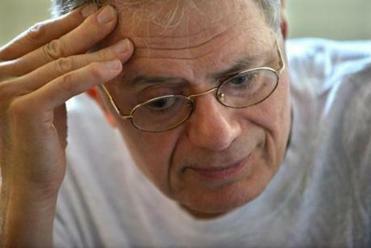 Scialabba “is not only astoundingly intelligent, he knows just about everything — history, politics, culture, and literature,” Ehrenreich has said. In 1991, he won the National Book Critics’ Circle Nona Balakian Citation for Excellence in Reviewing. A product of the North End, Scialabba was recruited out of Catholic high school to come to Harvard. His father, who worked in the civil service, kept the same job for half a century in fear of another Great Depression. “I was part of the first wave of affirmative action,” Scialabba says. After an intense flirtation with Opus Dei, the Roman Catholic institution that preaches the holiness of everyday life, Scialabba found his true calling in the collected works of history’s great thinkers. He also found anguish, suffering the first of his mental breakdowns. Meanwhile, at Harvard, his responsibilities shifted. “They tightened up the operation,” he says. “I was stuck in a windowless room.” As one contributor notes in a video tribute to be shown at the Brattle, Scialabba shares a thorough knowledge of desk jobs with another notable writer — Franz Kafka. At the risk of sounding like a crank, Scialabba says, he’s become increasingly disappointed with the changes at the university. “Harvard used to be this great, loose, shaggy thing,” he says. “There were little bequests that departments could bestow on grad students. Freelancers and poets would find their way.” Now, the renaming of historic buildings in honor of major donors and the “culture of luring star professors” discourages him. In “retirement,” Scialabba will keep a desk at the Cambridge offices of Baffler, the periodical founded as a “punk literary magazine,” which has been skewering lifestyle branding and corporate philosophy since 1988. He will be writing a new column on books. Asked whether he’s eager to get started, Scialabba asks Summers to step away so he can speak freely. But he knows he can’t help himself. Writing about what he reads is what he does. It’s who he is. Asked if he can explain why he still enjoys seeing his work in print, Scialabba thinks for a moment. In spite of himself, he’s unable to suppress a slight smile.